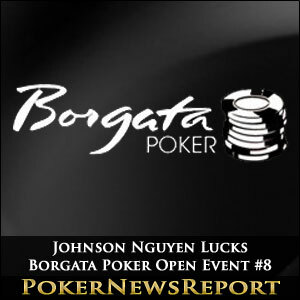 Johnson Nguyen enjoyed more than his fair share of good fortune on the card tables of the Borgata Casino yesterday – surviving several tricky scenarios to stay alive in Event #8 of the Borgata Poker Open and hitting a “wonder card” to take control of the heads-up against Andrew Jeffrey. 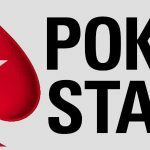 129 players had returned for Day 2 of the Deeper Stack NL Hold´em Event #8 and – with only 100 of them due to cash – play was exceedingly tight to begin with. 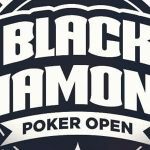 The bubble burst when Adam Seltzer hit an Ace on the River to bust his opponent´s pocket Sixes and thereafter the action speeded up. Having started Day 2 with a chip stack of double the average, Johnson Nguyen was not afraid to throw his chips around; however it was a huge pot against Day 1A chip leader John DiBella which enabled him to take a commanding lead in the event. With blinds at 8,000/16,000 (ante 2,000), DiBella (8-9s) raised from the button to 32,000 chips. Nguyen (K-9o) in the Big Blind made the call and both players saw the flop of 9-9-x. DiBella and Nguyen both made Trip Nines but checked the flop. However, after a Ten was dealt on the Turn, both players went crazy and the pot grew to 1.2 million chips with DiBella at risk. The River blanked for DiBella and Nguyen stacked up to 2.6 million chips. 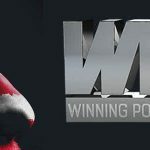 With the prospect of a final table appearance, Nguyen – whose only previously recorded live cash was for $695 in a WSOP Circuit event – slowed down a little, but he could not resist calling Cary Marshall´s (pocket Kings) post-flop shove with QJ on a Queen High board. The Jack on the Turn gave Nguyen two pairs and Marshall was out in 18th. However, Nguyen did not take his chip advantage to the final table. That honour was reserved for Andrew Jeffrey, who sailed through the players finishing 14th to 11th to lead the final table. With blinds now at 40,000/80,000 (ante – 10,000), the short stacks were under pressure to get a quick double-up or face elimination. Miguel Borrero (A♥ Q♥) was unlucky to bust in tenth when he made two pairs on a board of 4♦ 3♦ 2♦ / A♦ / Q♣ against Tony Sinishtaj’s pocket Kings, but Sinishtaj held the K♦ for the nut diamond Flush. John Caltagirone´s K-Q failed to improve past Frank Bonacci´s A-K, and he was sent to the cashier´s desk in ninth; shortly followed by Pierce McKellar (A-7s) when Tony Sinishtaj was again dealt pocket Kings. 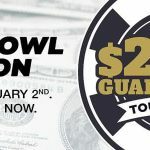 Johnson Nguyen enjoyed a further stroke of luck with the elimination of Matt Maccaroni in seventh – hitting a three-outer on the River to make two pairs after both players held the top pair, but Maccaroni had the better kicker. The hand put Nguyen back in the chip lead. As the blinds increased to 50,000/100,000 (ante – 10,000) Tony Sinishtaj chipped up into second place when his K-Q paired on the flop to see off Aleksander Sirota´s pocket Nines, but then Andrew Jeffrey halted Sinishtaj´s rise up the leaderboard when his A♠ J♠ rivered the nut flush for an important double-up. A double-up by Frank Bonacci against Johnson Nguyen (Kings > Tens) enabled the overnight chip leader to also claw his way back into contention, but Nguyen´s luck was still running hot and he came from behind against Tony Sinishtaj to hit two pairs on the Turn against Sinishtaj´s top pair top kicker. Having witnessed what was going on around him, maybe Joe Grodowski could have chosen a better time to get all-in with his pocket Aces against Johnson Nguyen´s pocket Fours. The inevitable Four appeared on the flop and Grodowski was sent to the rail in fourth. A fairly accurate description of his win!